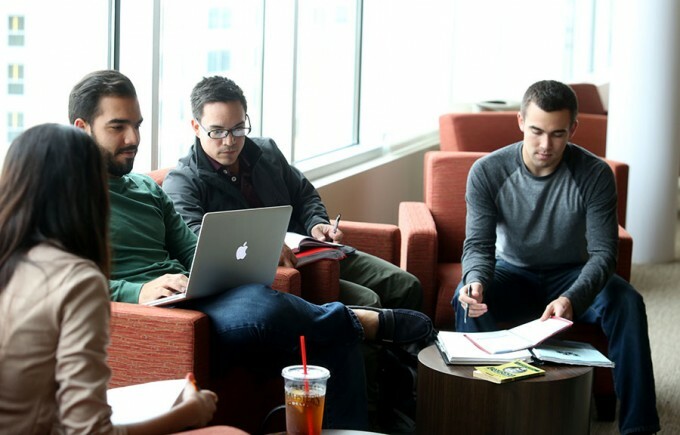 Through the Rockwell Career Center at the C. T. Bauer College of Business at the University of Houston, students will be able to get real-time data using the University of Houston Internships, Recruitment, Employment (UHIRE) Platform. The C. T. Bauer College of Business recently launched a new tool through its Rockwell Career Center that will give students a competitive advantage when they are searching for employment. The University of Houston Internships, Recruitment, Employment (UHIRE) Platform leverages past information from Bauer alumni and classmates to give students complete access to the largest database of its type. Student data is collected and consolidated to give students averages and trends, while keeping individual salary data private. In the past, students have had access to other online listings of salary ranges in their respective industries, but UHIRE provides real-time salary information specific to Bauer students. “UHIRE takes only salary information from Bauer students and displays it in an aggregate form so that our students can use this to make informed decisions about the industries and jobs they would like to pursue and have relevant information with which to negotiate their salary with an employer,” he added. Hopkins encourages students to register with UHIRE early on in their academic careers, even if graduation is several semesters away, as a tool to help guide which business major they may want to pursue. For more information or to register with the free tool, current Bauer students can visit UHIREBauer.com.